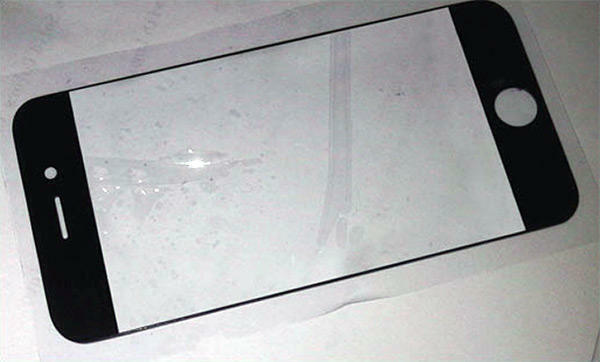 It’s that time of year again for iPhone rumors to surface, and we’re off and running with a potential iPhone 5 screen part. The spring time is when iPhone rumors tend to surface at a furious pace as the new phones usually release in June or July. The rumor season has been going for a little while now, but it seems to be off to a serious start now with 9to5 Mac uncovering what could possibly be the digitizer panel (or the front plate, if you will) of the iPhone 5. Immediately what you’ll notice is the much thinner border on the sides. While not quite as obvious, the top and bottom sections are also considerably thinner, lending credence to the rumors that the iPhone 5 may have a 4-inch screen compared to its current 3.5-inch model used on the iPhone 4. Some have mentioned that the front facing camera hole is on the wrong side, but that can easily be explained away as the part as upside down, or who’s to say the camera wouldn’t move to the other side of the phone grill in the iPhone 5? Either way, there are a few other oddities to consider when concluding whether or not this is a real part. For instance, the top section does appear to be slightly slanted as you travel from the top of the image to the bottom, and there’s some odd pixelation along the plastic on the bottom part of the picture. This image came from a Chinese iPhone parts site called iDeals China. The site does have a track record of coming up with parts early, so they definitely have that on their side. 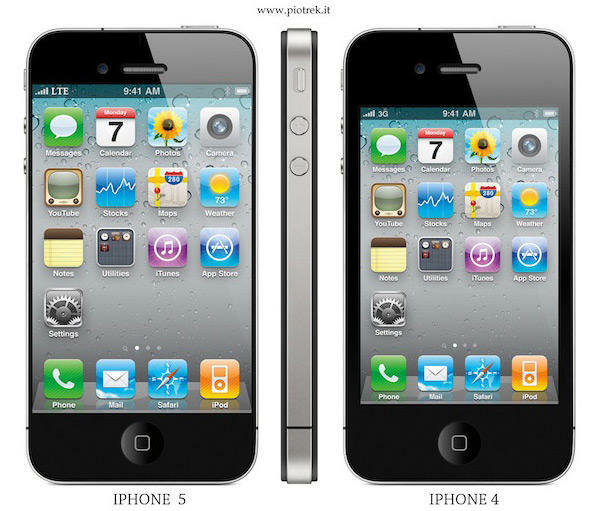 If this part is real, Pictek has come up with a concept image of how the iPhone 5 would look compared to the iPhone 4. What do you think? Is this our first legitimate clue to changes coming in the iPhone 5 this summer?